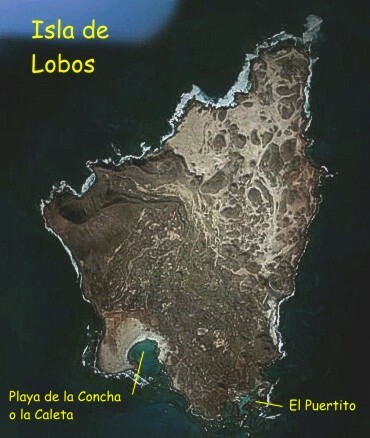 Lobos (Wolves) Island Beaches. The best beaches in Fuerteventura. Isla de Lobos (Wolves Island) is located northeast of Fuerteventura, just 2 Km. away. It is a protected natural park, and access to this island, we embark on one of the small boats that leave from Corralejo and reach the Isla de Lobos in just 15 minutes. In the south of the island are the largest beach Lobos (Caleta Beach), located in the southwest. And in the south east, we visit one of the most spectacular for me on the island of Fuerteventura: The Puertito, a natural cove with crystal clear waters full of marine life. IF you come on holiday to Fuerteventura, I advise that you book a full day to enjoy this amazing island of Lobos, where besides being able to visit these two small beaches, you can take a trip through the network of trails that run through it.